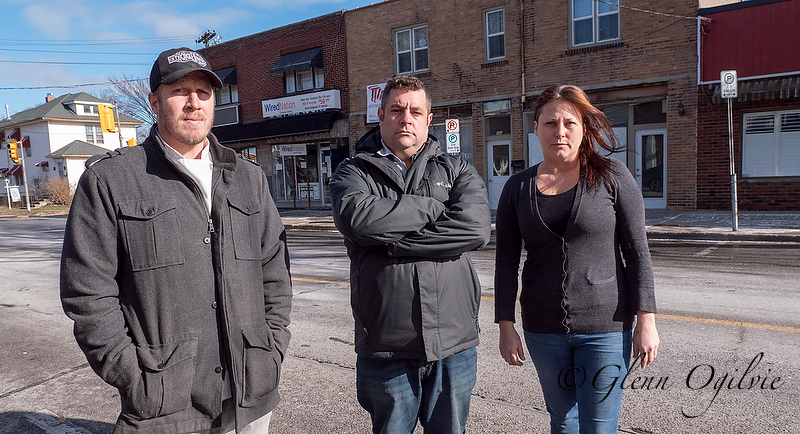 Andrew Dawson, Jennifer Arsenault and Marc Piquette have had enough. Each has operated a small business on Mitton Street near Davis for years, and all three are packing up and leaving by the end of this month. And they want people to understand why. “Mitton Village has low rents and is a great incubator neighbourhood for new businesses,” said Dawson, owner of a computer repair shop called Wired Nation. When it opened four years ago, Mitton Village was relatively vibrant but the petty crime has intensified, he said. The final straw came last fall when clients said they didn’t want to leave their computers with him overnight for repair. He has a second store in Wallaceburg and intends to focus on commercial clients at a different location in Sarnia. Next door is The Village Pet Shoppe, owned by Arsenault. “I’m done,” she said. “I was broken into (on Jan. 11). They kicked in my back door, took my float and made a hell of a mess. She blames a drug problem in the area, noting addicts constantly use a house behind the shop. Marc Piquette, owner of Piquette Frozen Meals, said it’s time for him to go. “They stole my mailbox and kicked in the door just before Christmas,” he said. “I lost my float. Piquette said landlords aren’t repairing buildings for a reason. Piquette is moving his retail business to The Downtown Market on Christina Street and to Purdy’s Ideal You in Point Edward. He’s also building a new location in Plympton-Wyoming for his growing wholesale business. Mitton Street is the focus of a city-driven committee that hopes to reverse the slide of once-thriving commercial district. But Dawson, Arsenault and Piquette doubt it will make much difference. “I really don’t know what will help,” Arsenault said. But Christine Provencher has a very different perspective and is digging in. She bought a house on Mitton Street near Wellington Road about 10 months ago. She was robbed the day she moved in. She said she bought without realizing a nearby house was full of transients, many with drug problems. She often wakes to the sound of domestic disputes and noise from drug trafficking. Arrests have been made and at times it is quiet, Provencher said. But she believes police need tougher laws to make better enforcement possible. Provencher said she’s disappointed Wired Nation, The Village Pet Shoppe and Piquette Frozen Meals are leaving. “This is really sad. There are also nice people with good jobs and families who live here,” she said.